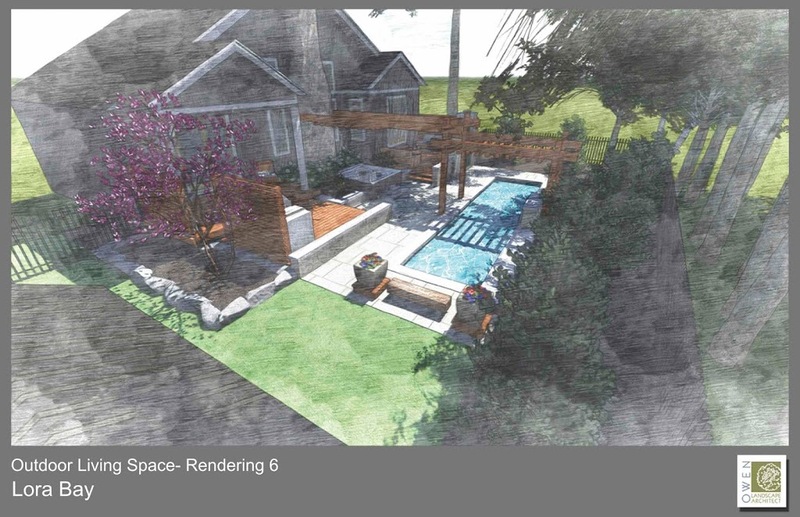 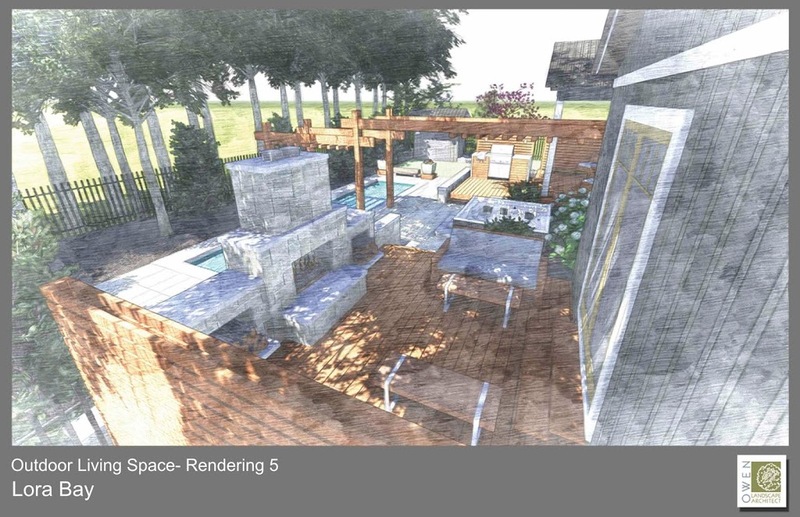 Owen Landscape Architect has just completed a design for an outdoor living space in the golf course community of Lora Bay, located outside of the town of Thornbury – a few hours north of Toronto. Although the site presented some challenges due to it’s small size versus the client’s wish list – the design came out beautifully! The program called for: a walkout deck from the master bedroom to a lounging deck featuring a wood burning fireplace; a hot tub; an area for a barbecue; a storage shed; and a small swimming pool. 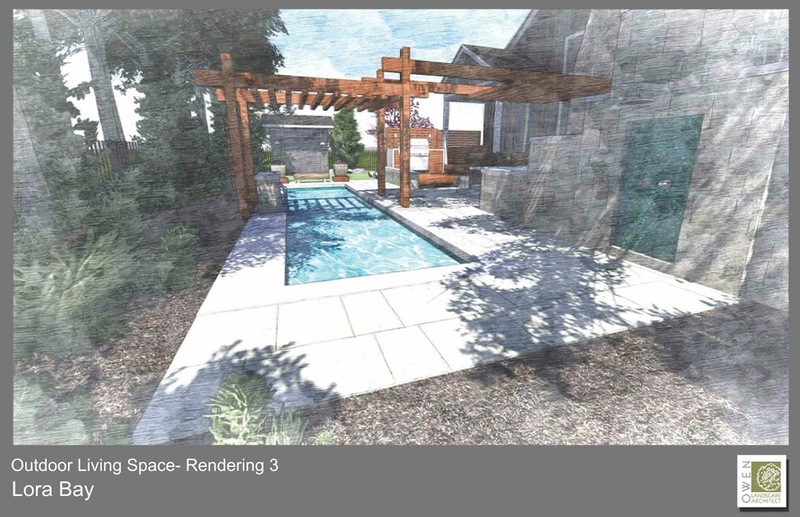 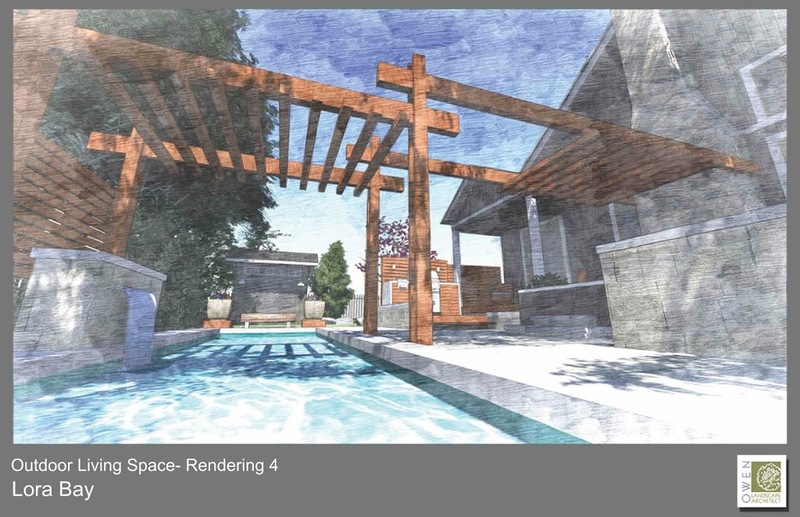 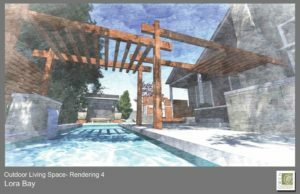 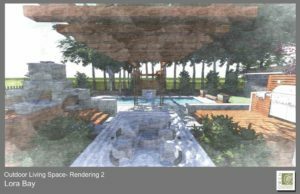 The most dramatic element is a linear pergola that aligns with the house chimney and bisects the space, crossing over the swimming pool and terminating with a water feature that spills into the pool.